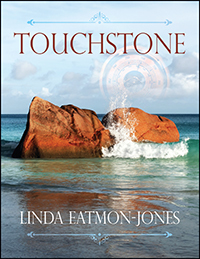 “TOUCHSTONE”, by Linda Eatmon-Jones is an inspirational biography of her husband, Earle F. Jones’ life and the incredible family legacy he was born into. The devastation of a Ku Klux Klan raid, burning down all of his family’s property in the early 1920s, created a determination in his grandfather not to let that traumatic event define the family’s future. The resiliency, strength and courage his grandfather used to create a new future for their family started a legacy of success that contributed to the successful man Earle is today. The lessons taught to each generation of letting education guide your destiny is Earle’s road map to being a life student, compassionate friend, accomplished professional and caring citizen of the world. The essays, written by family, friends and colleagues bear out how Earle embodies those lessons created by a family legacy. Linda Eatmon-Jones is originally a native of Ahoskie, NC. After college graduation she moved to the Washington, DC area where she ultimately met and married Earle Jones. She has over 30 years of experience and expertise in all aspects of non-profit management and for-profit leadership. She has a proven track record in executive leadership, strategic planning, fundraising, non-profit management, technology and asset management with four DC metro area nonprofits and worked at the executive level in a Fortune 500 company. Linda maintains membership with several local and national boards and organizations serving the needs of the DC metro communities, especially in the areas of children’s rights advocacy. She pursued advanced level degrees for Management and Leadership Development and earned a Master’s of Science in Organizational Development and Knowledge Management. Their son, a youth pastor and daughter-in-law, an elementary school educator have given her two beautiful grandkids, ages 4 and 2 years old. Earle and Linda reside in Vienna, VA.